OXFORD, Miss. — Four Rebels finished in double figures Saturday as the No. 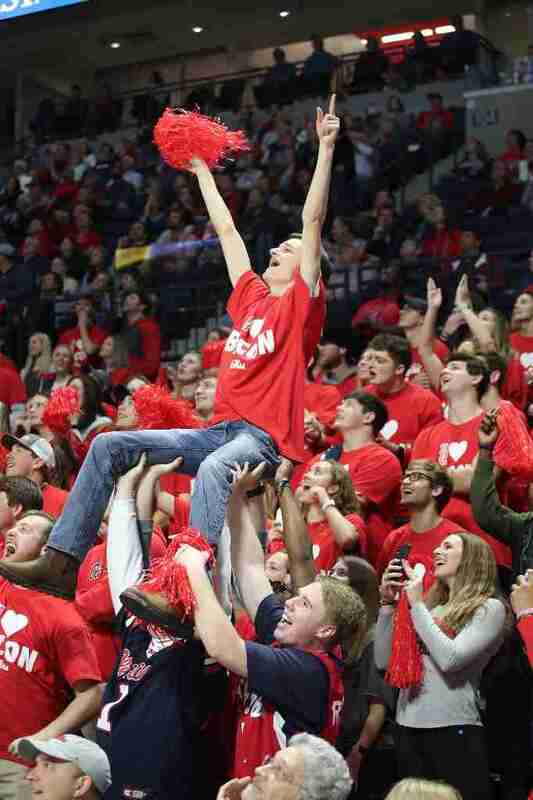 18-ranked Ole Miss men’s basketball team defeated Arkansas, 84-67, Saturday afternoon in The Pavilion. 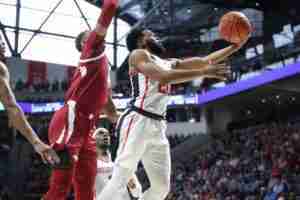 The Rebels (14-4, 4-1 SEC) bounced back from a Tuesday night loss to LSU, using strong defense and balanced scoring to lead the Razorbacks for the entirety of the game. “We’ve had two top-15 wins, great wins, but that was probably the best win of the year because of the response after you lose your first league game,” head coach Kermit Davis said after the game. “I thought our team had two really physical practices Thursday and Friday because bouncing back and doing it for the first time in this league for a new program, sometimes is hard, especially when you have that kind of atmosphere out there. You want to please the crowd. I thought the crowd and players were connected today. What a fun atmosphere,” he added. The Ole Miss defense, which notched 13 steals and converted a total of 17 turnovers into 22 Rebel points, limited Arkansas (10-7, 1-4 SEC) to 40% shooting and 26.1 percent from beyond the arc. 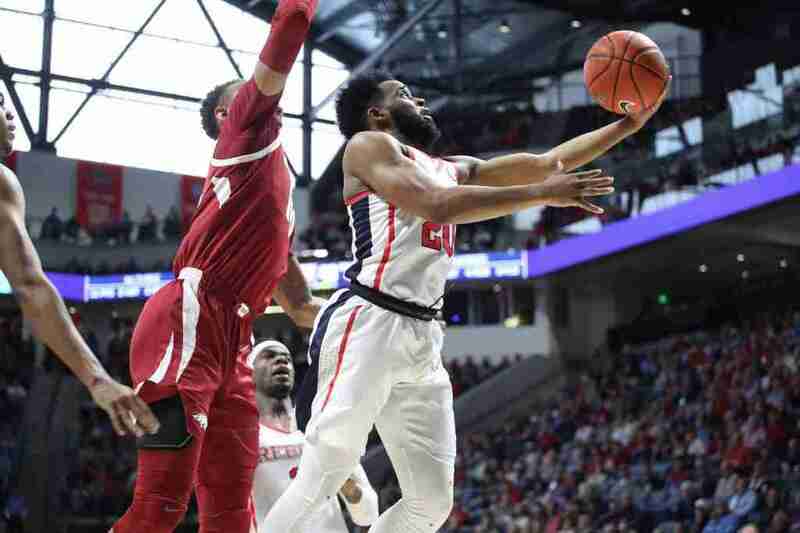 Ole Miss held Razorbacks’ leading scorer Daniel Gafford to nine points, his season low. Junior guard Breein Tyree notched 22 points, going 7 for 15 from the floor and making all six of his free throw attempts. Senior Terence Davis finished with 18 points, nine rebounds, seven assists and five steals. His five takeaways are a career-high. Bruce Stevens notched 14 points on 6 for 7 shooting from the floor. He also grabbed seven rebounds. Dominik Olejniczak scored a season-high 13 points to go along with his five rebounds and two blocks. Senior D.C. Davis garnered the second start of his career and scored seven points on 3 for 5 shooting. He also finished with four assists and no turnovers in his career-high 27 minutes of playing time. “You think about his story, what a great story,” Coach Kermit said of D.C. Davis. Coach Davis discussed D.C.’s start in Saturday’s game, noting it was not a reflection on usual starter Devontae Shuler who is playing through an injury. It was Olejniczak who got the Rebels off to a hot start, scoring nine of Ole Miss’ first 19 points. Although Arkansas would get within six, Kermit Davis’ team launched a late first-half flurry of points that gave the Rebs a 46-35 lead at intermission. After halftime, Ole Miss picked up where it left off—pushing the lead to 14. However, Arkansas would continue to fight, ultimately cutting the home team’s lead to six on an 8-0 run that forced the Rebs to call a timeout. “We came out, had an and-1 and went up 14,” Coach Davis said. Ole Miss regrouped and went on a 13-2 run that ballooned the Rebels’ lead to 17. Arkansas would never get within single digits the remainder of the game. The 17-point victory was the Rebels’ largest margin of victory in an SEC game since a 20-point win over LSU (Feb. 14, 2017). Today’s game was the sixth sellout in the history of The Pavilion and marked back-to-back sellouts this week. 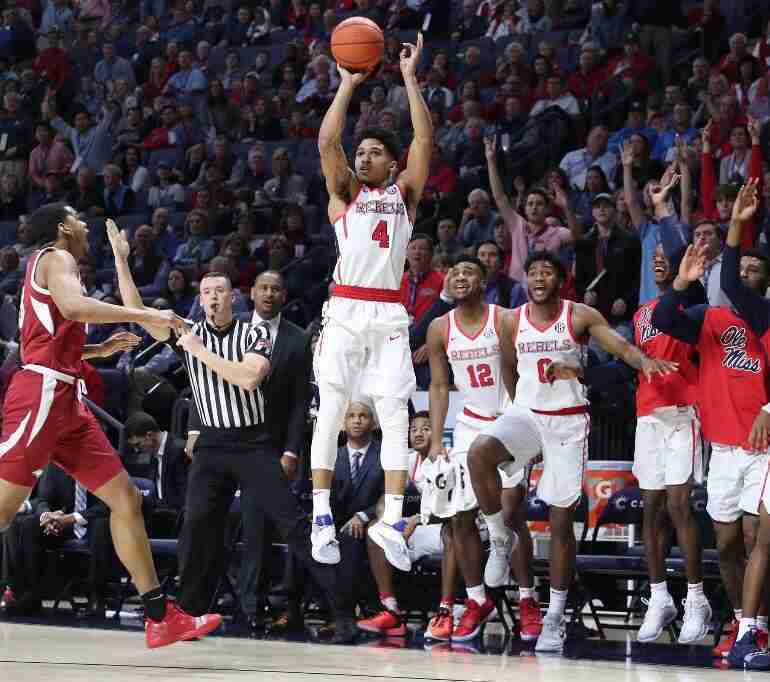 Ole Miss hits the road the first part of the week, traveling to Tuscaloosa, Alabama to play the Crimson Tide Tuesday (January 22) at 8:00 p.m. CT. The game will be televised on ESPNU. On Saturday, Ole Miss will step out of league play and host Iowa State in the SEC/Big 12 Challenge at 11:00 a.m. CT. in The Pavilion.